Gain some insight into the closed country of North Korea with this documentary highlighting the failed rocket launch in 2012 from the country's space center. When North Korea scheduled a rocket launch for April 13, 2012, journalists from around the world were invited to Pyongyang to document the historical event. 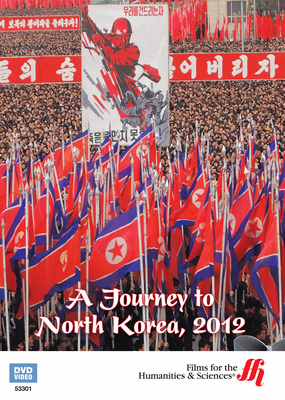 Hong Kong's Phoenix TV developed this film on North Korea when they sent a team of journalists to cover the event. Though there were many restrictions placed on the journalists in North Korea, this film offers a great deal of insight into the mysterious country. The launch turned out to be a failure, but the footage gained from the trip gives a closer look at the political and social realm inside North Korea. This film will take viewers inside the North Korean launch site at the Sohae Space Center, to celebratory and cultural events featuring wildly patriotic North Korea citizens, and inside a tanks unit and barracks. Questions about the country's intentions for its rocket program are brought up amid the failed launch. The film also offers insight into the changing role of the country's new, young leader, Kim Jong-un.